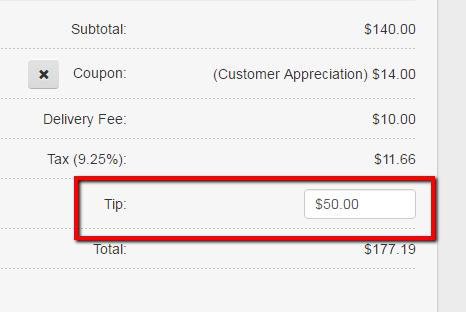 This article will go over how to add a tip by a dollar amount or a percentage amount to a catering order while taking an order. 1 - You will be on the Order Entry tab and you will be taking the order for the customer. 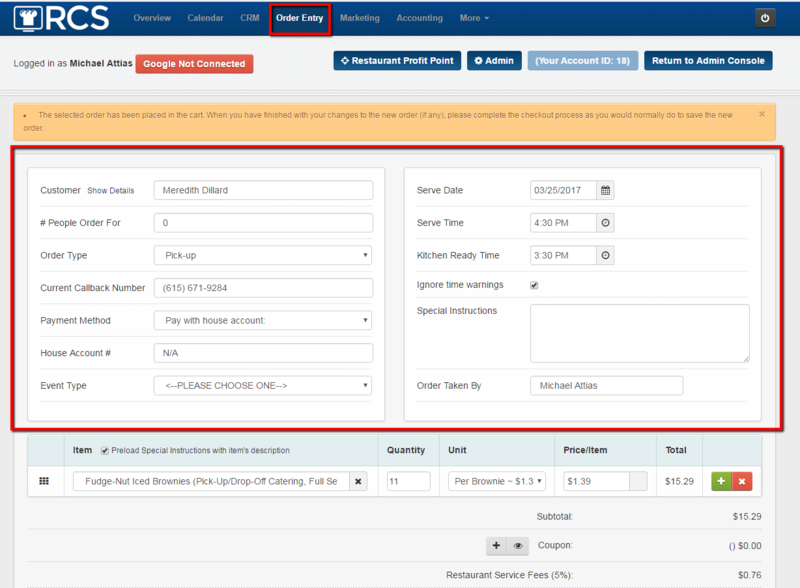 2 - Once you are done taking the order scroll down to the Tip section towards the bottom. 3 - Click inside the Tip box. You can then either enter in a Dollar amount or a Percentage. 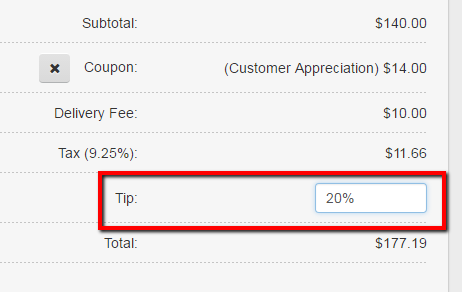 If you enter in a Percentage please press ENTER on your keyboard so that they system can calculate the % amount. 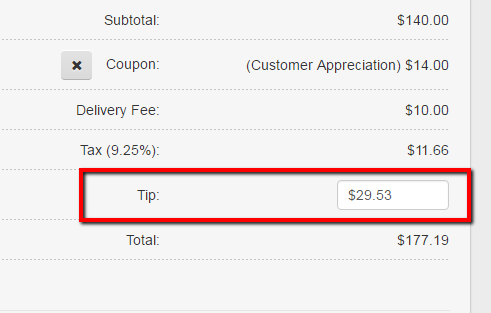 You have now added a tip to an order. 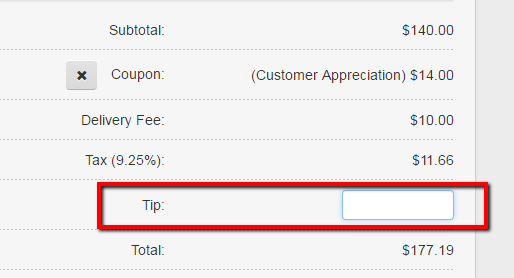 Please note that you can also add a tip under the invoice tab as well. Please see the invoice article on how to do this.